Chris Kaposy, PhDis an Associate Professor of Bioethics in the Division of Community Health and Humanities, Faculty of Medicine, Memorial University in St. John’s Newfoundland. Chris’s disciplinary background is in philosophy. He graduated with a B.A. (honours) from McMaster University, an M.A. from Concordia University, and a Ph.D. from SUNY-Stony Brook. At Stony Brook, Chris’s doctoral supervisor was Eva Feder Kittay. After his Ph.D. Chris was a postdoctoral fellow at Dalhousie University in the Ethics of Health Research and Policy program, supervised by Prof. Jocelyn Downie. Chris has published many articles on the ethics of abortion, vaccine ethics, and on the ethics of research involving pregnant women. Current research projects include a study of clinical ethics issues in the treatment of HIV, an empirical project on the roles played by ethics consultants in crisis situations, and the ethics of prenatal testing for Down syndrome. Alongside his research activities, Chris is a clinical ethicist with the Provincial Health Ethics Network of Newfoundland and Labrador. He has been involved in clinical ethics consultations throughout the province. In 2013, the Division of Community Health and Humanities at Memorial began offering a Master of Health Ethics (MHE) degree. Chris was the main proponent for the development and approval of this graduate program, and is now the MHE program director. He greatly enjoys teaching and supervising health ethics graduate students, and is also involved in the delivery of the ethics and law curriculum for the MD program at Memorial University Faculty of Medicine. 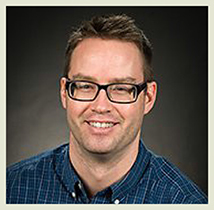 Chris’s teaching duties also include medical postgraduate ethics education, ethics instruction for Memorial MPH students, and ethics education programs for health care professionals in Newfoundland and Labrador. Overall, Chris tries to use his skills as a philosopher and ethicist to help people manage practical issues in health ethics.